Who would benefit from the development of a ‘Smart Gun?’ Potentially, if perfected (which they aren’t), all of us. As you might recall from my previous post, the iP1 is a .22 caliber pistol (not pictured at right). The iP1 could be a good personal protection weapon for the ‘beginner’ gun handler. It’s light. And, the recoil is minimal. Most gun enthusiasts, however, would consider it little more than a conversation piece, a possible collector's item, a target pistol, and of no consequence in an actual survival or combat situation. The reason for the .22 caliber of the iP1 is the associated lack of recoil. A heavy recoil would be hard on the internal circuit board; and, perhaps, lead to malfunction. Therefore, military personnel wouldn’t be interested, nor would police, nor would serious competitive shooters. That said, the technology could evolve to include larger calibers and/or improved (more deadly) bullets. I know the anti-gun folks don’t like the sound of that. Nonetheless, regarding bullets, most law enforcement agencies now use ‘hollow-points,’ for their shock-impact value and the resulting, immediately-disabling wound. It should be noted that a perfected ‘Smart Gun’ would be a tremendous step forward in police officer safety. “According to FBI statistics, 33 police officers were murdered with their own weapons,” between 2004 and 2013. Fortune Magazine pointed out the many accidental shootings by children of other children or even adults. Fortune cited the tragic incident in an Idaho Wal-Mart when a two-year-old reached into his mother’s purse, which was sitting in the shopping cart, took the gun out, pulled the trigger and killed his mother. A ‘Smart Gun’ might have prevented that accident. But, I suppose safe gun-handling practices would also have prevented it. So, who would be against the ‘Smart Gun’ if, theoretically, it could be perfected? Well, it seems most folks interested in guns (pro and con) – at least for now - are against it. Why? The NRA isn’t exactly against ‘Smart Guns,’ but they are against any accompanying mandates. Like, for example, outlawing other guns not so designed. However, law makers love mandates. It’s their nature. It gives the appearance of doing something constructive. And, State Legislative bodies (particularly New Jersey) have considered, even tried, establishing laws prohibiting gun ownership - other than ‘Smart Guns.’ This is a potential way to tax, license, regulate, perhaps make illegal, most guns – their real objective. Trial lawyers have expressed the opinion that manufacturers of traditional guns could be sued on the same basis as cigarette companies – on the premise that guns that don’t possess ‘smart’ technology are inherently dangerous to the public. Unless some legislative protections are put in place to protect ‘Smart Gun’ manufacturers, they will be unwilling to risk the necessary investment and potential liabilities. Many folks are against any guns, particularly handguns, and consider a ‘smart’ handgun to be unnecessary and basically an oxymoron. They state that there is no such thing as a smart or safe handgun and that they should all be banned. An untenable position that runs head-on into those who appreciate guns for various reasons; not to mention the 2nd Amendment. My opinion: ‘Smart guns’ could be a good thing, a very good thing. They should be promoted and perfected. However, manufacturers and gun innovators should be protected from punitive lawsuits. Who knows, maybe 50 or 100 years from now, all guns will be ‘Smart Guns’ and others not so enhanced will be considered antiques. But, that’s then and this is now. On a lighter note, I was hoping that the development of ‘smart’ golf clubs was on the horizon – and the sooner the better. 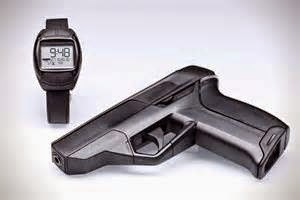 I read an interesting article in the current edition of ‘Fortune Magazine,’ titled “Smart Guns – They’re Ready. Are We?” This article contains information that should be of interest to all, regardless of whether you love guns or hate them. The article’s poster child (so-to-speak) is the Armatix iP1, .22 Caliber, (pictured) with a projected purchase price of $1800. I won’t attempt to explain the RFID (radio frequency identification) technology. But, basically, the gun’s owner wears a watch or bracelet, or some other similar device; and when the gun is farther then approximately one foot from the owner, and his device, it won’t fire. The technology is battery operated. However, the manufacture states the batteries will last for approximately one thousand shots and a red light will flash when the batteries grow weak. This sounded like a good idea – at least for some. However, personally, I wouldn’t want such a gun for several reasons, not the least of which is the high price. I’ve had considerable training with guns and I’m very comfortable with them. I’m old school. ‘You load the gun. You point the gun. You squeeze the trigger and it goes bang.’ A quality gun and ammunition completes this cycle 100% of the time. In the proper hands guns are very safe. That said, the iP1 sounded like a valid alternative for some less trained individuals, who for various reasons might require a gun for protection. 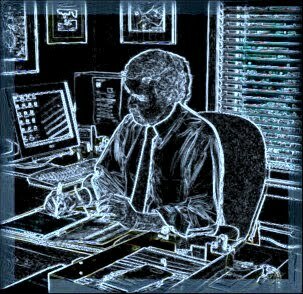 When I was doing security consulting / private investigations, I would occasionally get requests for help from women being stalked. They were scared, often with good cause. There are several things that a woman, or sometimes a man, can do in these situations to protect themselves. But, the bottom line, I would tell these folks, is that if you were depending on the police to protect you – good luck. At best, the police would arrive too late to help you; but in time to conduct the crime scene investigation. I would advise these women to get a gun, get some professional training with the gun, and do not aspire to be one more crime statistic. Take charge of your own safety – your own life. The unfortunate side of this advice was that these potential victims might actually acquire a gun, but didn’t think they needed any training. Consequently, they were petrified to even handle the gun; and often hid it away where it wouldn’t be available if they should require it. Some would later tell me that their greatest fear was the possibility that the stalker would take the gun and use it on them. But I digress. Apparently, the iP1 will not be commercially available anytime soon. Why? The concept is being opposed by two factions, the pro-guns’ faction and the anti-guns’ faction. Seems strange doesn’t it? I’ll explain. When you read about those who are advocating for a Presidential pardon for Leonard Peltier, Robert Redford seems to be one of the principals pushing that action. I’m always suspicious of celebrities. What exactly is their real motive? For example, Robert Redford is a very rich man; a pampered, insulated man. If he was sincerely concerned about Leonard Peltier, one might ask why he doesn’t just open his wallet and hire the best attorney in town for Leonard. But, you see, Redford isn’t going to do that. He gets more play for his money advocating a cause. It’s trendy – gives him something to talk about at cocktail parties I suppose; makes his life seem just a bit more meaningful, maybe even benefits his career in certain circles. Furthermore, Redford knows that the attorney route wouldn’t work anyway. Peltier has already appealed his case through various legal channels; and those appeals have all failed. So, Mr. Redford will pursue the Presidential Pardon route. He knows President Obama is probably receptive to the idea – the President being a celebrity junky in his own right. And, hell, screw the FBI Agents. They’ve been dead for forty years anyway – who really cares. Some of the other celebrities like Willie Nelson and Pamela Anderson – well, does anyone really take anything they say seriously? As a young Agent who spent a couple of months at Wounded Knee, on the Pine Ridge Indian Reservation, during the 1973 dust-up, I do take this a little personally. The thought does cross my mind that this could have been me. The casual reader, regarding the murders of FBI Agents John L. Coler and Ronald L. Williams (1975 – Pine Ridge Indian Reservation), might presume that Leonard Peltier, convicted for the Agents’ murders, has been unjustly convicted. Nothing could be farther from the truth. But, you say, what about all of Peltier’s alleged supporters to include such luminaries as: Mother Teresa, Desmond Tutu, Robert Redford, Jane Fonda, Willie Nelson, Pamela Anderson, Common (he was great in 'Hell on Wheels') et al. Well, I did research this. And, if you’d like to do your own research, make sure the Excedrin is close-by. There seems to be a flood of information with little specificity. The bottom line, as I see it, is that Peltier has become a cause célèbre to American Indians and those others who wish to be sympathetic to their plight (a plight that is allegedly ubiquitous; but difficult for most to define); often categorizing Peltier as a ‘political prisoner,’ whatever that means. The name Mother Teresa caused me pause – a reportedly saintly person. How could one doubt her sincerity or authenticity? What about Desmond Tutu? What about the European Parliament (Did you know there was such an organization)? Yes, they weighed-in too. Well, it gets a little sketchy – to say the least. It appears that Mother Teresa may have opined at one point that Mr. Peltier wasn’t getting proper medical attention. Others, mostly what we would normally consider ‘leftists,’ or perhaps ‘far leftists,' have contended the evidence against Peltier was not only flawed, but was actually fabricated by the FBI; and, as a result, Peltier did not get a fair trial. But, there is nothing tangible; mostly smoke and vague generalities. Understand that Peltier had five notable, highly qualified and experienced defense attorneys at his trial and has had subsequent various courts review that trial process – including the U.S. Supreme Court. And, guess what? They haven’t found a problem. This is not funny. It is deadly serious. But, it kind of reminds me of a possible Three Stooges skit. ‘You shoot them.’ ‘No, here’s the gun, you shoot them.’ ‘No, I don’t want to, you do it.’ ‘I’m not going to do it, you do it.’ All the while the wounded Agents wait on the ground for these, ah, 'socially challenged activists' to decide who the executioner will be. I really couldn’t let this one slide-by. “Peltier’s Son Joins Fight for Father’s Freedom” (The Oregonian 5/10/15). Article by Dana Tims. Before I criticize, I always research the writer. I want to make sure that he is not twenty-one and recently graduated from journalism school. I wouldn’t want to rain on a young person’s parade. However, Mr. Tims looks old enough to know better. Leonard Peltier’s son, Chauncey, is apparently renewing the ‘fight’ to free his father, the murderous, unrepentant Leonard Peltier. OK, sons often overlook the sins of their fathers, and even sometimes put a glossy spin on their fathers’ past escapades. You know ‘boys will be boys’ or ‘it was just the times’ or ‘his actions were justified due to some murky wrong or cause.’ However, that doesn’t warrant Mr. Tims’ softball approach to writing about the murders of two FBI Agents (John L. Coler and Ronald A. Williams) on the Pine Ridge Indian Reservation in South Dakota (1975). Tims describes the murders as the result of a “shootout,” as if it was something like the ‘shootout at the OK Corral.’ Well, let’s get this straight. The FBI Agents were outgunned, with their revolvers, and were ambushed by Peltier et al who were armed with rifles, located a considerable distance away. The ‘shootout:’ Coler and Williams fired a grand total of five rounds. However, the Agents’ car had a total of 125 bullet holes. This did not, of course, account for the incoming rounds that missed the car or shattered windows in the car. Agent Coler was hit in the arm which reportedly nearly severed it. Williams, also wounded, attempted to stem the blood flow from Coler’s arm by wrapping his own shirt around the wound. Coler, probably near death, and Williams wounded were approached by Peltier and friends. 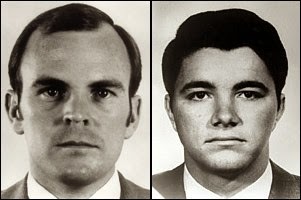 The Agents were executed at close range, two bullets to Coler’s head, and one bullet to Williams’ head. Williams had a defensive wound to his hand which he held in front of his face. The bullet went through his hand into his head. 9-22-91, Peltier admitted, on the television program “60 Minutes,” that he shot at the Agents. In an elaborate trial, with five defense attorneys, Peltier was convicted on two counts of ‘First Degree Murder.’ Substantial evidence was presented in court connecting him to the principal murder weapon, the .223 rifle. Peltier has entered several appeals. All have been denied by various courts. The U.S. Supreme Court has on two occasions refused to hear his appeals. Peltier now holds hope that he will be pardoned by President Obama. Many experts consider this a realistic possibility. Peltier, surprisingly in my opinion, has received the backing of several celebrities. I will talk more about this.